Plaque is presented at the Consolation House during the 50th anniversary of AOTA. Plaque is presented at the Consolation House in Clifton Springs, NY, during the 50th anniversary of AOTA. 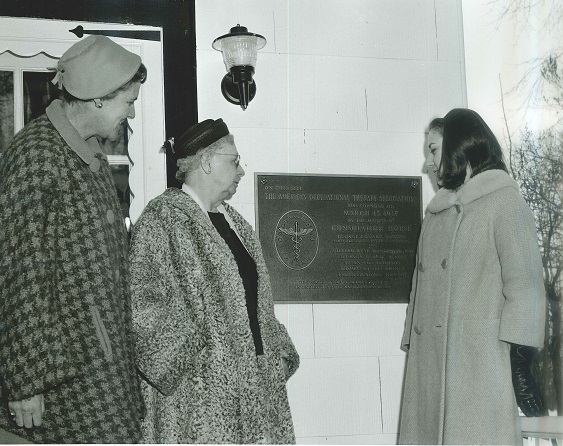 (From left) Florence Cromwell, president, AOTA; Isabel Newton Barton, widow of George E. Barton; and Margaret Zinsley, OT student SUNY NY.